Maptek has released its third generation I-Site XR3 and LR3 laser scanners. Smaller and lighter, the new models offer significant improvement in range capability while retaining reliability and usability. When Maptek first released I-Site Studio software 18 years ago, the company focused on developing powerful, practical tools for modelling survey data. 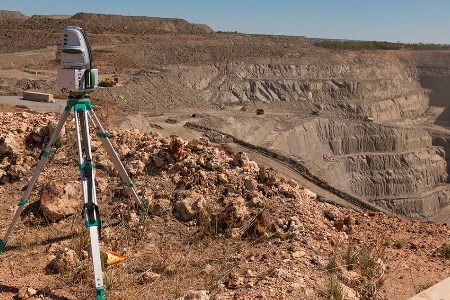 Five years on, the company trusted its instincts that mine surveyors would readily adopt high-end survey equipment combined with proven smart software, and in 2004 Maptek began building laser scanning hardware. Over the next decade, they continually refined their systems. Compared to the I-Site 8800 series, the latest I-Site XR3 and LR3 laser scanners are 30% smaller and 25% lighter, with 2.5 times faster data acquisition, and offer 25% improvement in range capability. A new high-dynamic-range panoramic camera produces high-resolution digital images for geotechnical analysis and geological mapping. The I-Site XR3 has a scanning range of up to 2400 m, giving wider coverage with fewer scans and allowing survey of otherwise unattainable areas. The I-Site LR3 scanning range of 1200 m makes it the system of choice for small to medium pits and quarries, as well as indoor stockpile volumetrics. The I-Site XR3 and I-Site LR3 are compatible with laser scanning applications, such as Maptek Sentry for surface monitoring and PerfectDig for design conformance. Modular design allows configuration of the system to match site requirements.